It was another good week for physics as a team with members from Los Alamos National Laboratory and the University of Illinois found that order in disorder demonstrated a new state of matter—and whose structural order operates by rules more aligned with quantum mechanics than standard thermodynamic theory. And an international team of researchers found evidence that suggested that dark matter might not be interactive after all—dark matter in the Abell 3827 cluster was found not to have separated from its galaxy as had been thought. 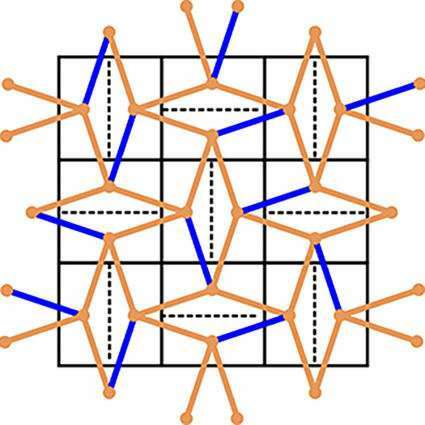 Also, a team with members from several institutions in the U.S. and one from New Zealand found a different spin on superconductivity—unusual particle interactions opened up new possibilities in exotic materials. It was also a good week for space news, as an international team of researchers discovered that gravitational lensing by a sun-like star in a massive cluster revealed a blue supergiant 9 billion light years away. And a team at Cardiff University suggested that the paucity of phosphorus may hint at a precarious path for extraterrestrial life—they note that it is one of just six chemical elements on Earth considered to be crucial for the existence of life. Also, a team from the U.S. and Chile reported that their study suggested that tens of thousands of black holes may exist in Milky Way's center—they discovered a dozen black holes gathered around Sagittarius A. In other news, a pair of researchers at ELTE Eötvös Loránd University in Hungary ran computer simulations that showed the Viking's sunstone to be very accurate, allowing them to navigate during cloudy or foggy days. And a team at the University of California discovered a new source of global nitrogen—Earth's bedrock. Also, a study led by a team at Columbia University resulted in evidence indicating that older adults grow just as many new brain cells as young people—though they may be less able to make connections between them. And finally, if you are female and are holding on to your love of steak, you might want to note the results of a study conducted by a team at the University of Leeds. They found links between eating red meat and distal colon cancer in women, or put another way, those who ate less of it had lower rates of colon cancer.